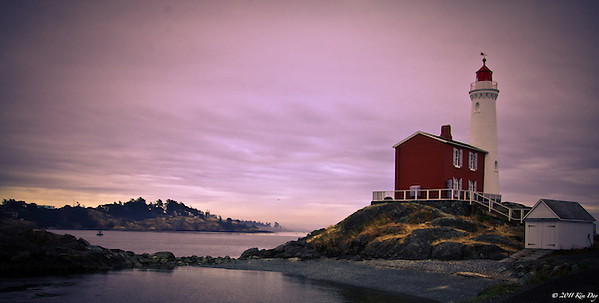 A foggy day yielded this photo of Fisgard Lighthouse on Vancouver Island last year. As the fog began to burn off, you could see a few boats gliding silently around the harbor in the lighthouse’s shelter. This entry was posted on Friday, December 7th, 2012 at 9:22 AM. It is filed under Photo Of The Week and tagged with Canada, Fisgard Lighthouse, Fog, Lighthouses, red lighthouse, Vancouver Island, Victoria. You can follow any responses to this entry through the RSS 2.0 feed.